At Western Science, we know that your ability to differentiate yourself in the job market depends on the development of transferable skills and work experiences. We strive to impart a diverse range of professional competencies and experiences, both inside and outside the classroom. Regardless of the direction in which you want to move, Western Science's commitment to professional development will help you to bridge the gap between the skills you acquired and the additional competencies you require as a science professional. Check out some of the resources that will help you form the foundation of your future and prepare you to enter the professional world. Public expectations for the behaviors of "professionals" (whether they are employed in regulated professions or not) include components of reliable service, scholarly training, ethical and moral integrity, and a high degree of autonomy in decision-making. Service and scholarship are exercised through deliberate actions reflecting the dimensions of the competence of the individual (i.e., things we do). Acting with integrity and autonomy are expressions of character (i.e., who we are / what we believe). Professional judgement modulates how the various dimensions and elements of competence and character are engaged in response to a call for action. 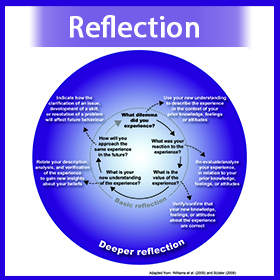 Explore the three main intersections to professionalism: Competence Dimensions, Character Elements, and Critical Reflection. 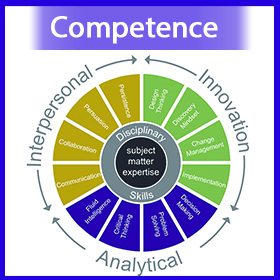 Competence Dimensions determine the effectiveness of what we do. There are three main components: Analytical, Interpersonal, and Innovation. 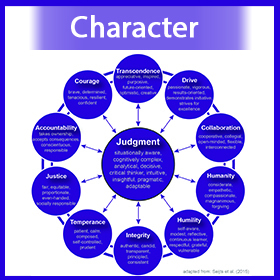 Character Dimensions and Elements comprise the foundations of how we function and make decisions.